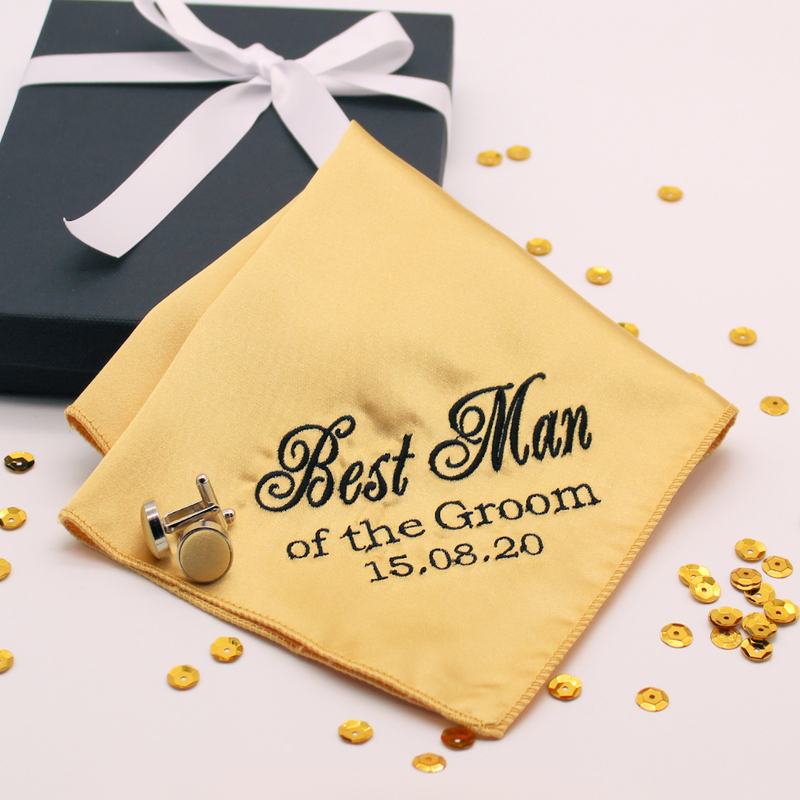 Gentleman's embroidered handkerchief in gold satin with matching cufflinks gift set in a gift box. Gentleman's embroidered handkerchief in gold satin with matching cufflinks gift set in a gift box. 29cm smooth satin hanky, ideal for folding as a pocket square. Matching gold satin centred cufflinks with silver colour outer casing. Gentleman's embroidered handkerchief in gold satin with matching cufflinks gift set in a gift box. 29cm smooth satin hanky, ideal for folding as a pocket square. Matching gold satin centred cufflinks with silver colour outer casing. Essential accessories for weddings, proms, special occasions or evenings out.